On Super Bowl Sunday, be with us for a live (and, later, recorded) conversation about the biggest day in American sports. Join @sajaHQ as hosts SAJA co-founder Sree Sreenivasan (@sree) and sports markerting prof Vijay Setlur (@vijaysetlur) chats with several exciting guests about life in sports, the business of the NFL and more. 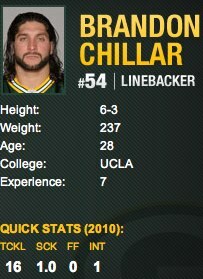 * Brandon Chillar, Green Packers linebacker, who's on injured reserve and will be calling in for from Dallas; he's only the third South Asian to play in the NFL (Sanjay Beach and Bobby Singh were the others). This is the second SAJA webcast featuring Chillar - he also joined us on Super Bowl Sunday 2009.